Residents have many questions concerning the open burning of brush, camp fires and cooking fires, and gas grills on decks. The Laws and Regulations in Massachusetts are varied, can be confusing, and are sometimes ambiguous. These include MGL Ch. 48 Sec 13-Open Air Fires, Department of Environmental Protection Regulations 310 CMR 7.07 – Open Burning, and Board of Fire Prevention Regulations 527 CMR 1.10 – flame producing devices in and around buildings. The Fire Chief is the Authority Having Jurisdiction, and can ask that a fire be extinguished if in his judgement it presents a potential hazard to persons or property. All outside fires must be attended at all times, and should be kept to a minimal, controlled size. Open Burning: This is the seasonal burning of brush and yard debris between the dates of January 15th, and May 1st. A permit is obtained from the Fire Dept, and it is determined daily if burning is allowed, or restricted due to atmospheric conditions. There are restrictions on what can be burned (no construction material), distance from structures, and a water source is required. It is not required to be in a container, burn ring, or stone enclosure, but that is a good protective measure also. The full set of regulations is available on the Fire Dept web site and distributed with the permits. Decks and Balconies– A deck has a set of outside steps to the ground, a balcony does not. Portable fire pits and chimeneas, and even grills; use and storage is prohibited on balconies. Grills and similar cooking devices, of all fuel types, if used on decks; must be 10 feet away from building walls, and cannot be under an overhanging roof (527CMR1.10). Deck fires are often caused by accidental misuse of flame producing grills and devices, and their use on decks isn’t recommended. Chimeneas and portable fire pits location should follow manufacturer recommendations if any. We suggest a minimum of 15 feet away from a structure. Keep fires small, with a diameter of 3 feet or less. Use dry, natural firewood, to minimize smoke. Avoid fires in windy conditions, or atmospheric conditions which cause smoke to hang and be a nuisance and possible health hazard to others. Have an extinguisher, a garden hose or other water source readily available. Enforcement: The Fire Department does not patrol the community looking for illegal fires. If we get a call reporting a potential illegal fire, or unknown outside fire; we will respond to investigate. If there is a specific complaint from a neighbor who may be bothered by the smoke, and/or we observe conditions of irritating smoke affecting others; we may ask you to extinguish the fire. If we observe a potential fire hazard to persons or property, we will ask that the fire be extinguished, and will be especially concerned about hazards at multi-family structures. 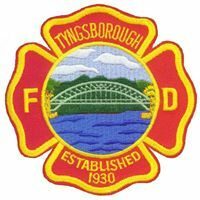 The Fire Officers are operating as designees of the Fire Chief, who has the authority to order an outside fire extinguished if it is a nuisance, or potentially hazardous to people or property.